All Denise Anderson wanted to do was test drive a used Toyota Sequoia at her local Tampa Bay, Florida dealership. Unfortunately, a nine-foot alligator beat her there. Chomp, chomp! 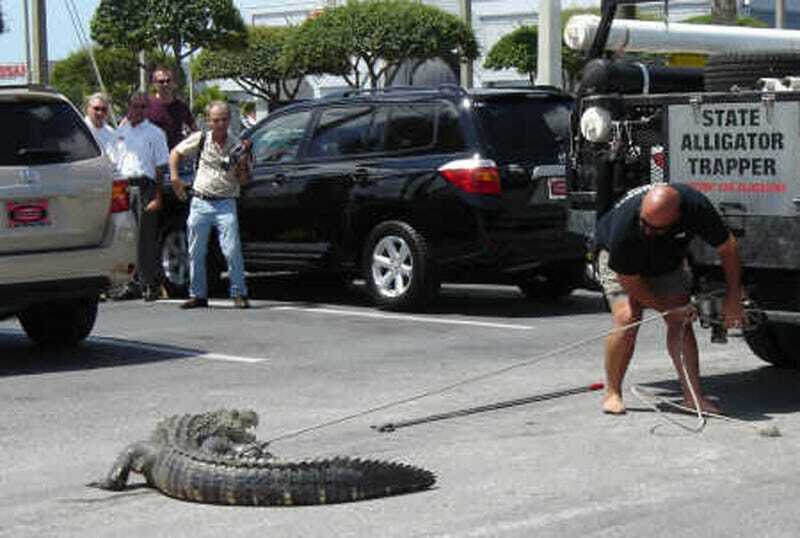 The closer-to-big-toothed-nature-than-we're-comfortable-with incident occurred at Sun Toyota in Pasco County on Wednesday and turned into quite the event, drawing a multitude of people into the dealership's lot. Talk about free advertising.